As is now standard for new films—and especially films that adapt source material and thus draw from an existing archive—the cinematic release of Alex Garland's Annihilation (2018) prompted a flurry of "easter egg" exposés. 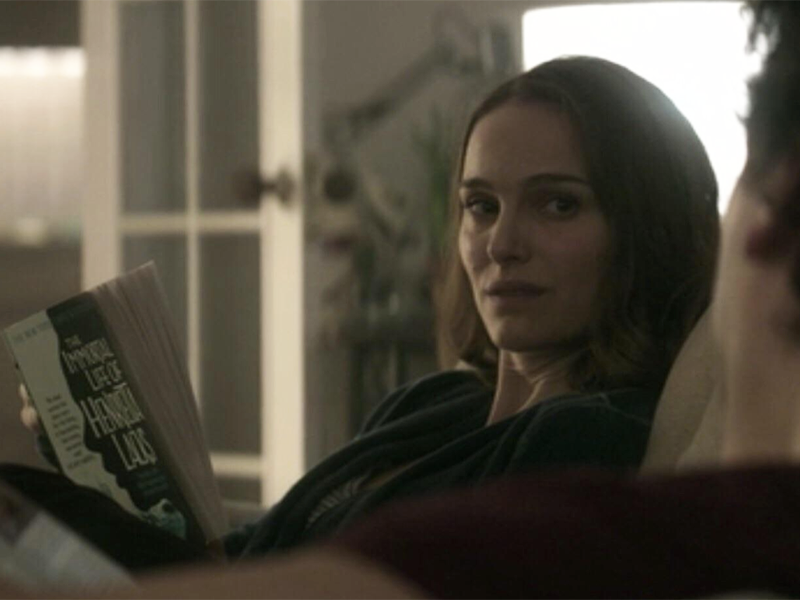 "A Small But Literary Easter Egg You Probably Missed" (Bustle); Some Biology Easter Eggs for You from Annihilation" (Medium); "The Easter Egg in Annihilation that Clarifies Everything" (Refinery29). The term "easter eggs" in media once referred to hidden messages, images, and jokes planted in the background of movies and video games and thus discoverable to only the most attentive devotees. Nowadays the term has expanded to refer more broadly to any inconspicuous allusion that will escape most viewers and thus require an internet fan culture to chronicle and explain. 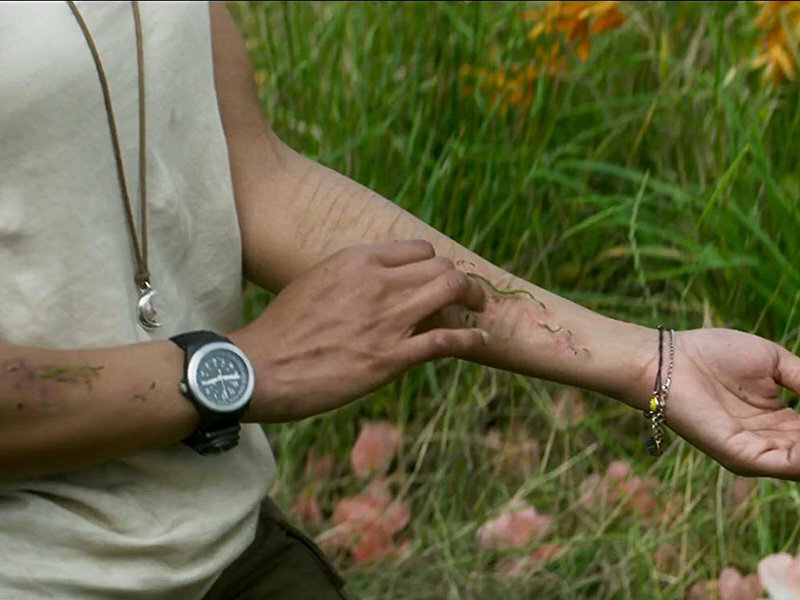 In the case of Annihilation, the shiniest easter egg found was the muted inclusion in the film of an important figure in American history: Henrietta Lacks. Lacks was a poor black woman from Maryland who died from cancer in 1951. When she was undergoing treatment at Johns Hopkins medical center, university researchers took a sample of her cervical cells without her consent. These cells eventually produced the hugely important and profitable HeLa cell line now instrumental in laboratory research the world over. This inclusion of Henrietta Lacks in Annihilation is "muted" because she's never directly discussed in the film. Instead, an early scene finds the film's protagonist, Lena, "the biologist" (Natalie Portman), in a Johns Hopkins classroom delivering a lecture on the topic of cell division, a basic biological process that the medical students in attendance are probably already quite familiar with. The students scribble notes and watch a screen-projected recording of multiplying cells as Lena speaks in cadence: "The rhythm of the dividing pair. […] The structure of everything that lives and everything that dies." As the scene ends, Lena provides a one sentence explanation of the magnified images displayed at the front of the room: "The cell we're looking at is from a tumor, female patient, early thirties, taken from the cervix." This unnamed "female patient, early thirties" is surely Henrietta Lacks, but in case there is any doubt, she and her story make a more visible—though still muted—appearance later in the film. In a momentary flashback towards the end, we see Lena reclining on a couch next to her husband, Kane (Oscar Isaac). He's holding a magazine, but Lena is reading a paperback book whose bent-open cover is just barely readable: The Immortal Life of Henrietta Lacks, the prize-winning and bestselling nonfiction account by Rebecca Skloot (Crown, 2010). Completed over the course of many years with the help of Lack's surviving family, Skloot's book is credited with first articulating the multigenerational story of appropriation and scientific misconduct for a wide audience. The Immortal Life of Henrietta Lacks is a powerful achievement of first-person historical narrative that was itself adapted into an HBO film (George C. Wolfe, 2017) and the story continues to reverberate through public as well as professional conversations related to medicine, ethics, race, and law. All but named at the beginning of this film, only to turn up subsequently on a book cover (in a moment that chronologically pre-dates the classroom scene), Henrietta Lacks, it would seem, is also of periphery but enduring importance to Garland's Annihilation. She appears as a hinting refrain ripe for exactly the explanatory articles that swooped in to explain the significance of her inclusion. Garland's decision to make Lena a professor at Johns Hopkins, of all places, directs yet more attention on Lacks. (Like so much in the original novel version of Annihilation (Farrar, Straus and Giroux, 2014), author Jeff VanderMeer leaves this character's place of employment unspecified.) Yet this precision of employment in the film makes the early classroom scene seem rather strange. Not only would a class of medical students not need a primer on cell division—poetic as Lena's lecture may be—they would also no doubt be familiar with Lacks, especially if they are attending Johns Hopkins. Skloot's book has been adopted as the "Common Read" book or its equivalent for over 150 universities, Hopkins included, and Hopkins among others, has become increasingly interested in memorializing and honoring the woman who was treated to questionable (at best) ethical and professional standards of medical care. Most recently at Hopkins, these ongoing efforts of recompense took the form of announcing the dedication of a university building to Lacks, but earlier and ongoing forms include a series of university web pages dedicated to her story. Simply put, it's implausible that these students would be treated to such a vague reference to Lacks—"a female patient"—within the walls of the institution most immediately responsible for her now well-known and documented disenfranchisement. Of course, much of Annihilation is implausible, and for the most part that implausibility makes for a compelling viewing experience. In this case, what's more interesting than calling out the film's contextual naïveté is the way that the classroom scene reproduces the very silence surrounding Lacks that launched Skloot's book in the first place. In the opening pages of The Immortal Life, Skloot recounts her first exposure to the story of Lacks. A biology professor mentioned her only briefly while explaining processes of cell replication and division. Like Lena in her Hopkins classroom, this community college professor wanted to communicate to students that "cells are amazing things" (3). Skloot's professor offered more background on Lacks than Portman's Lena does in the film, as he went on to note that we know a lot about cells thanks to "Henrietta", a name he wrote on the blackboard in "enormous print" (3). But this name, and the fact that Lacks was a black woman in America, is all he offers to the class; when Skloot follows him to office hours, he provides a simple answer to her inquiries: "'I wish I could tell you more,' he said, "but nobody knows anything about her'" (4). Wending forward through college and then graduate school, Skloot set out to learn about Lacks. Who was this mysterious Henrietta Lacks, so crucially important to science and yet all but forgotten? This early interest fueled Skloot's multi-decade project and eventually led to the revisionist projects of memorialization taken up by Johns Hopkins and other institutions, mentioned above. In other words, spurred by a moment of hearing only vaguely about Lacks in the classroom, Skloot went on to write the book that would ensure no such vague reference and oversight would occur again. The classroom scene in Annihilation thus posits a world in which Lacks goes unacknowledged, even after Skloot's book makes its rounds. The uncanny wilderness of The Shimmer may still be the weirdest part of this masterfully trippy film. But only slightly less weird is this intellectual landscape in which Lacks' story is still (again?) flattened out of history even after a biology professor at Johns Hopkins is reading (for the first time?) the groundbreaking account that should have fundamentally reshaped and recontoured such a landscape. In the film, alligators sprout reticulated rows of teeth and people bloom plant-like. In the classroom of the film, students are told they are looking at cancer cells from the cervix of a 30-something female patient without also being told that this patient and her family were subjected by their own university to decades of confusion and no remuneration. This is not shape-shifting doppelgänger weird, not "new weird". But it is weird, all the same. 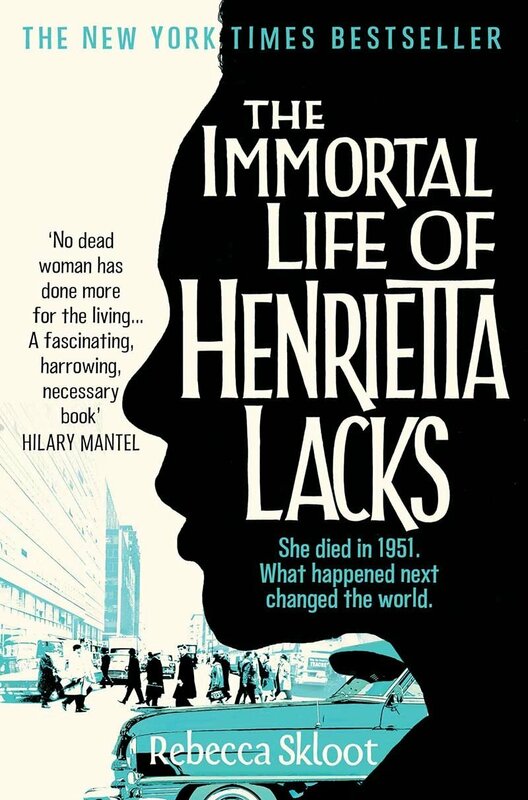 While most of the easter egg articles about Annihilation and Henrietta Lacks simply enact the eye-spy trivia of identifying the "female patient" mentioned in the classroom, or of identifying Lena's reading material (which, while we're on the subject, seems to be the UK paperback edition), some accounts argue that the inclusion of Lacks is thematically significant. Indeed, one short essay argues that the muted inclusion of Lacks in the film "clarifies everything". Elena Nicolaou explains that, "The Immortal Life of Henrietta Lacks shows up in Lena's hands for a very deliberate reason. The book signals that Annihilation will be a movie about life—and the components that build life up." Nicolaou here refers to another article she wrote about Annihilation that explores the film's uncomfortably ambivalent depiction of change, life, at the expense of the stable and the familiar. "The key comes," Nicolaou says in her easter egg article, "in the HeLa cells themselves, which are able to multiply indefinitely, even though other cells could not. HeLa represents a mystery of science on a granular level. What differentiates Lacks' cells from all the rest?" Nicolaou is not alone in finding HeLa a fascinating "key" for Annihilation. Cecila Nowell relates rushing home from the theater to read her roommate's copy of The Immortal Life of Henrietta Lacks. This reading experience shocked Nowell with the "sociological horrors" of Henrietta's fate, but it "struck [her] primarily with biological curiosity": "What happened," Nowell wonders, "to [Henrietta's] tumor cells that made them immortal?" Similarly, in a fascinating essay that actually doesn't mention Henrietta or her inclusion in the film, Matt Goldberg suggests that Annihilation is about cancer—specifically, about the possibility of the earth itself contracting cancer. As with Nicolaou, the point is the magnificent ambivalence—"the cold, uncaring horror" of cancer, which, like H. P. Lovecraft's weird horror of old, lacks intention and cognizable meaning as it changes, and destroys, what we hold dear. Though Nicolaou describes this element in terms of life and Golberg of destruction, the two are arguably describing the same ahuman, or inhuman, force. Though these accounts do well to explore the thematic resonances across the film as they correspond to the biological miracle that is the HeLa cell line (or simply cancer, generally speaking), they actually undermine the impetus of Skloot's book. To read The Immortal Life of Henrietta Lacks (or to spot the character Lena reading it) and come away with an awed appreciation for the mysteries of biology is certainly understandable, since Skloot herself devotes pages to exploring just these mysteries throughout her account. But the problem—or perhaps simply the limitation—is that this awed appreciation once again evacuates Lack from the story. To say, as Nicolaou does, that the inclusion of the book is the "key" because "HeLa represents a mystery of science on a granular level" draws attention away from Skloot's primary mission, which was to burrow beyond HeLa to tell the human story (largely a tragedy), which sprawled in excess of the granularity of science. Interpretations like Nicolaou's enrich our understanding by making HeLa primary in understanding the film. But shouldn't this understanding do more than merely acknowledge a "female patient"? What about Henrietta Lacks? Given that Garland's Annihilation focuses on a government research facility that gambles on the health and wellbeing of women in the name of advancing scientific understanding (not to mention that the film was criticized for mishandling issues of race and representation), it would seem that Henrietta's story—as opposed to just HeLa's mystique—bears ample thematic resonance. Instead of settling with the idea that Garland relied on HeLa easter eggs to proffer a barely-hidden explanation or "key" to the anomalous area known as The Shimmer, we might sit with the uncomfortable realization that such an interpretation actually mimics the instrumentalization decried throughout The Immortal Life of Henrietta Lacks. Lacks is again forgotten in the wake of what HeLa can be seen to do or undo. But how might we read the film against this possibility? How might Lacks and not merely her cells claim an immortality that lives on in the cultural sphere?